On the northern tup of Kyushu, the Southern main island of Japan, lies Fukuoka, sometimes also called Hakata. 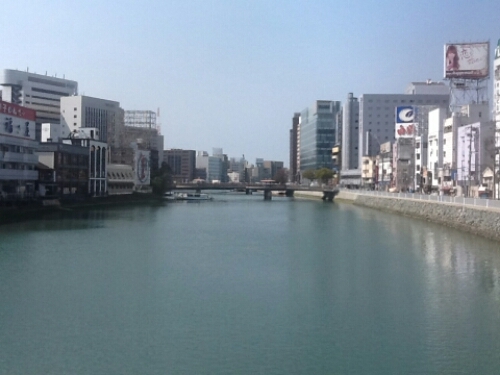 The city was formed in 1889 when the two cities of Hakata and Fukuoka were merged into one. After a lengthy debate, involving the threath of violence by a group of samurai, the new city took the name of Fukuoka in favour of Hakata. Today, The city is the 6th biggest city in Japan, having passed Kyoto in population back in 2011. Fukuoka is a quiet city by Japanese standards, after coming from the noise in Tokyo it was nice to calm down and relax in Fukuoka. The streets were quieter, people were not in a rush, the city felt a lot more laidback. Fukuoka is easily reached with the Shinkansen from Tokyo, Osaka or Kyoto. You can also fly in, Fukuoka airport is located only 3 kilometers from Hakata Station, the main train station in the city, situated in the Hakata area. 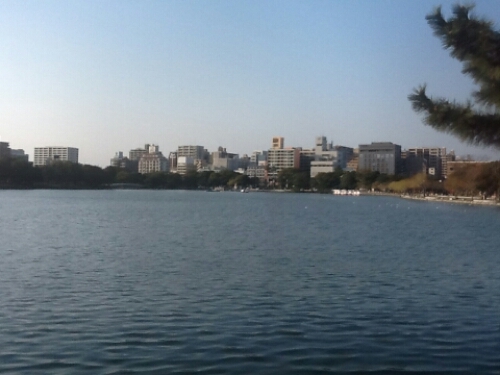 in Fukuoka I recommend a visit to Ohori Park, a beautiful park surrounding a lake in the middle of the city. 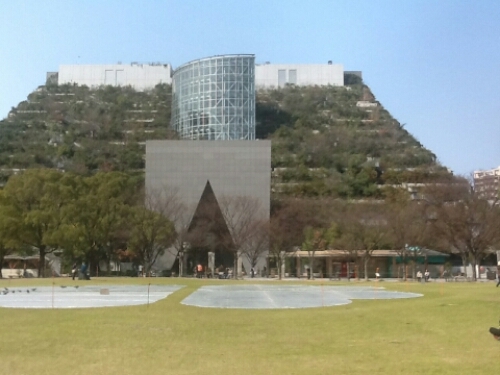 Next to the park lies Fukuoka Castle, the ruins of an old feudal castle. In the old Hakata area you find Sumiyoshi Shrine, a shrine dedicated to th god of sailors and sumo wrestlers. Hakata is especially famous for its ramen. Hakata Ramen, with a thick kontetsu broth, has become one of the most popular types of ramen in Japan lately. For the opportunity to sample sample som great ramen I suggest Ramen Stadium in Canal City, Hakata. Seven ramen shops offering ramen from all over Japan. The food there is great, and you get the chance of trying various regional varieties. I also had a great meal of Yakitori in Hakata. 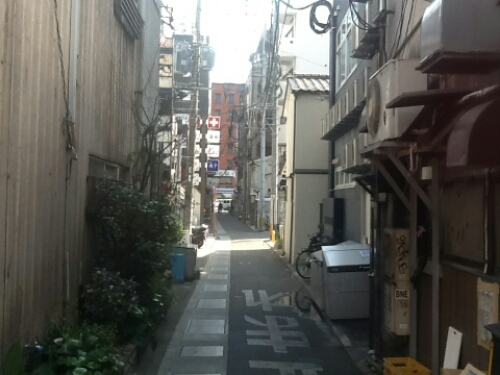 A small restaurant down a back alley, menu in Japanese, no idea what I’m ordering. It was a great night, but it was hard to get up for the train the next morning.